Faster than a speeding bullet. More powerful than a locomotive. That’s right it’s the all-flying, all-fighting Superman 2 slot – and boy has it got some mighty big red boots to fill. 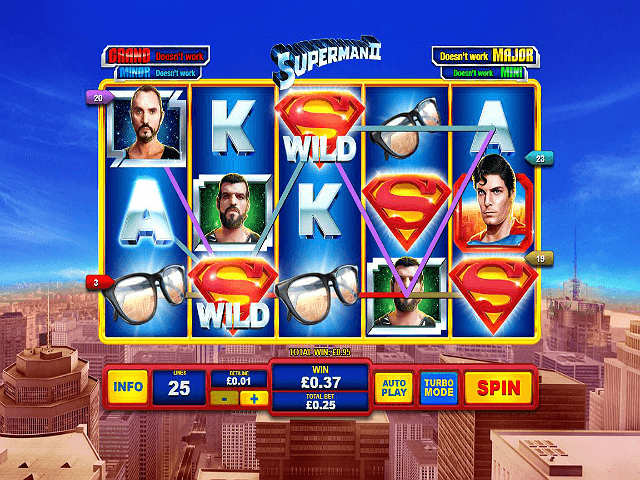 Play Superman II Slot Demo for Free! Play Superman II for Real Money! 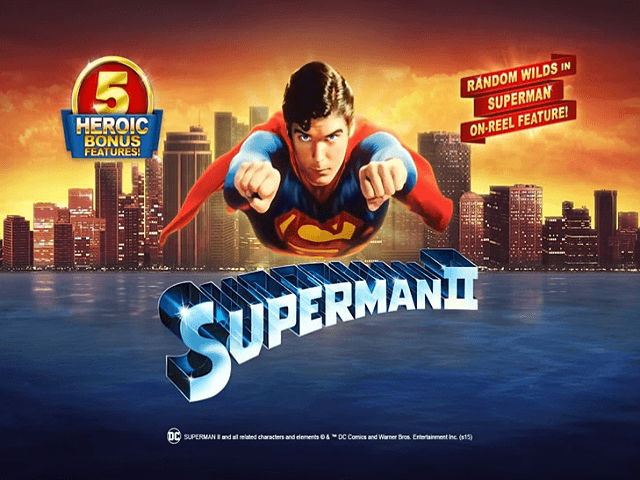 Superman 2 follows in the footsteps of Playtech’s Superman The Movie, a hugely popular slot release that was a resounding hit with fans, reviewers and players alike. 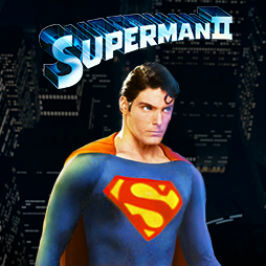 This fully licensed conversion mirrors the second — and by far the most enjoyable — instalment of the 70s and 80s movie series with the inimitable Christopher Reeve once again donning the famed red, yellow and blue suit. Terence Stamp gets in on the action as the evil super-villain General Zod while feisty love interest Lois Lane (Margot Kidder) complicates things by making the Man of Steel fall in love with her. Playtech has taken the wise step of sticking with a winning formula in the presentation stakes. Thus, the playtable isn’t that dissimilar to the one used in the previous slot game and the marvellous John Williams score is once again utilised to full effect. Changes this time around include the background (a sweeping view of the Metropolis skyline) and the zesty flight sound the reels make whenever you hit ‘spin’. The way the music launches into full-on fanfare mode when you hit a winning combo is a cool innovation too. Unlike the previous offering, the Superman 2 slot game plays on 25 fixed paylines rather than 100. On top of this, it offers far more in the way of bonus features than its predecessor. 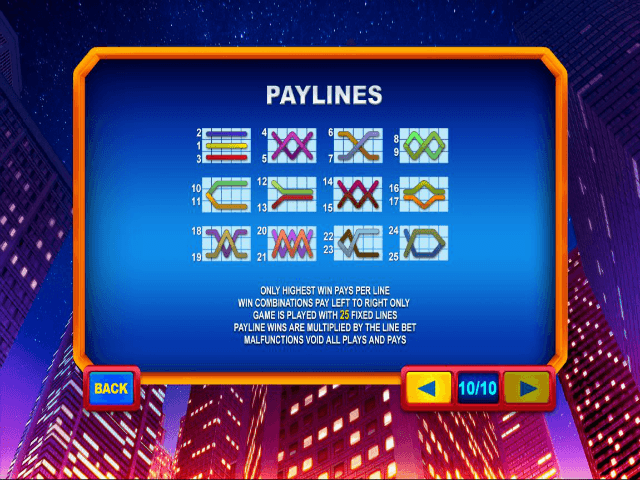 Along with lower-value playing cards, the Superman 2 online slot uses characters and features from the movie as its main symbols. Thus you can expect to see items such as Clark Kent’s glasses and a green crystal whizzing around with the likes of Lois Lane, Non, General Zod and Ursa. Superman is the highest-value symbol and his emblem is the wild. The wild feature is triggered randomly throughout the base game. When this happens you’ll see the Man of Steel fly over the reels and turn two, three or four randomly chosen symbols into wilds. The Daily Planet globe is the scatter. Land three of them anywhere on the first, third and fifth reels and you’ll be given the chance to stop a wheel to decide which bonus feature you’ll win. There are five options: Phantom Zone, Skyline Fight, X-ray Vision, Lois and Clark Bonus and Battle for Metropolis. As well as being fun to play, these bonus rounds afford a range of potentially lucrative credits, free spins and other prizes. 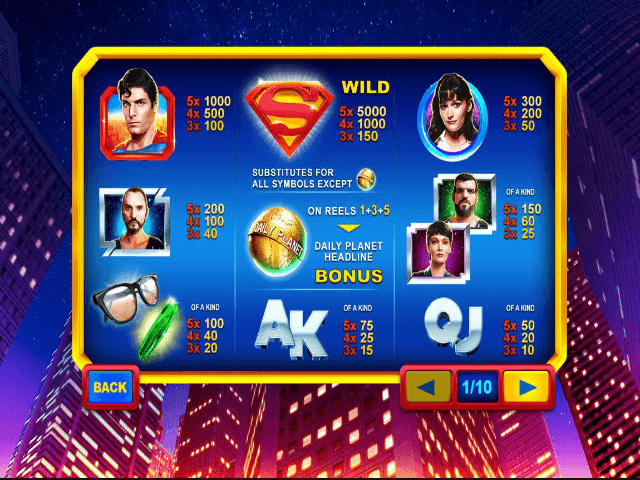 Like all of Playtech’s DC Superheroes titles, the Superman 2 online slot game features a multi-level progressive jackpot. Entry to the jackpot game can be activated on any spin although you’ll have a better chance if you play with a higher stake. All you have to do to win is choose from the icons on a matrix and you could pocket the Mini, Minor, Major or Grand jackpot. The latter offers a minimum prize of £1million. As with the film, Superman 2 is a very worthy successor to Superman The Movie. Arresting visuals and wonderful music combined with a slew of bonus features and an RTP of 95.03% are just a few of the aspects which make it so. Complement this with the DC Comics progressive jackpot and you‘ve got something truly super. Share this Superman II Review today! If you like Superman II, you'll love these slot titles too!